Every new combo vending machine we sell will always come with a full one year warranty which covers all the parts of the machine. A lifetime of free technical support is also included on all our new combo vending machines. We are committed to helping you and we ensure that every machine we sell gets the attention and service it needs to make you the most money possible. Not everyone is familiar with a “Combo Vending Machine”. 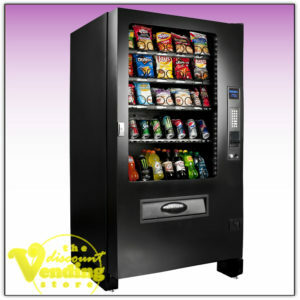 This is a relatively new vending machine that has quickly become a favorite machine for vending professionals. It is a combination of snacks and drinks, all in the same machine, thus eliminating the need for two separate machines. 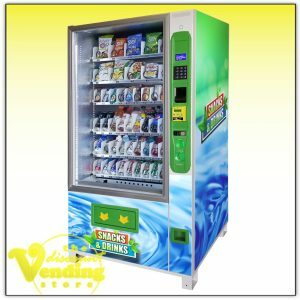 Studies have shown that customers are more likely to purchase both a snack and beverage in the same vend when both complimenting items are sold in the same machine. We have really come to love the combo vending machines because they are so easy to move, can fit in tight locations, and can be located in smaller businesses which are much easier to find. Further, they are simple to operate, simple to program, and many can accept credit cards as well as cash. If there’s something we don’t have listed for sale here that you would like to see, please let us know and we will do our best to provide it in the future. 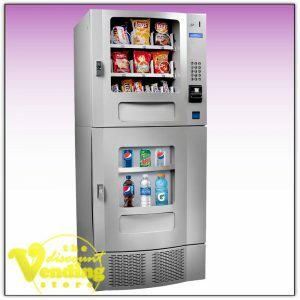 If you want to buy a cheaper machine, check out our quality used vending machines or our soda vending machine inventory.